Gymnastics journalist Hannah Robbins discusses the state of U.S. gymnastics and the action that the United States Olympic Committee took this weekend in the wake of the Larry Nassar scandal. Just two days after Simone Biles won her sixth medal at the Artistic Gymnastics World Championships, United States gymnastics was in the news for a very different reason — U.S.A. Gymnastics (USAG) might lose its status as a member National Governing Body (NGB) of the United States Olympic Committee (USOC). On Nov. 5, U.S. Olympic Committee CEO Sarah Hirshland released a statement to U.S.A. Gymnastics that stated the USOC was beginning proceedings to revoke USAG’s status as a member NGB. However, this process is not as simple as just issuing a statement. To revoke U.S.A. Gymnastics’ status, the U.S. Olympic Committee must first send a notification to USAG stating that it wishes to revoke its status as a member NGB. The notification states what action U.S.A. Gymnastics needs to do in order to remain an NGB, which in this case is supporting athletes on and off the field of play. Next, the USOC appoints an independent hearing panel of three impartial individuals. The committee then gives the organization about to lose its membership, in this case USAG, the opportunity to present evidence and a legal argument for staying a member NGB. The hearing panel will create a report with a recommendation as to whether U.S.A. Gymnastics should remain a member NGB. It is then the CEO’s job to present this report to the board of directors along with whatever report she wishes to make. From there, it is up to the board of directors to decide how to act upon the recommendations it has been provided. This will be done as soon as possible, and the decision is final. By losing its status as the gymnastics National Governing Body, USAG loses all rights associated with being in charge of gymnastics in the United States. USAG would no longer have rights to train or host competitions for gymnasts, and it would not be able to nominate gymnasts to compete in the Olympic Games. All of these responsibilities would become a task for the U.S. Olympic Committee. If this happens, USOC would be in charge of helping to create or find another organization to be the member National Governing Body for gymnastics, a daunting and not particularly speedy prospect, especially barely two years before the 2020 Olympics. The U.S. Olympic Committee’s complaint, supporting athletes on and off the field of play, is their way of discussing the state of U.S.A. Gymnastics after Larry Nassar’s sexual abuse of over 300 athletes in the U.S.A. Gymnastics program was brought to light. The first accusation against Nassar, an osteopathic doctor employed by U.S.A. Gymnastics, came from Rachael Denhollander in September 2016. Denhollander and many other gymnasts, including all five members of the 2012 Olympic team and four of the five members of the 2016 Olympic team, stated that Nassar sexual assaulted them during medical evaluations. As the accusations continued, it came out that the Karolyi Ranch, a training facility used by U.S.A. Gymnastics for 17 years where gymnasts attended monthly training camps, allowed Nassar the opportunity to continue his behavior since parents were not allowed at the Ranch. The Ranch was closed in 2018, and the Karolyi’s place of prestige after leading the U.S. women’s gymnastics team to multiple gold medals was tarnished. The Karolyis are currently being sued by for allegedly knowing and turning a blind eye to Nassar’s abuse. In November 2016, Nassar was first convicted of assaulting a child, with additional charges of possession of child pornongraphy that year and additional sexual assault charges from University of Michigan gymnasts (where he was the physician for their gymnastics team) occurring a year later. At his sentencing hearing, survivors such as Aly Raisman spoke, and he received an additional 40-125 years of prison time. Overall, Nassar will serve between 150 and 275 years in prison. Steve Penny, president and CEO of U.S.A. Gymnastics at the time, was part of the coverup of the abuse. Penny stated that unless accusations of abuse were signed by the victim or the victim’s parent he believed false accusations would harm the reputation of coaches, and he did not forward accusations to the police or child protective services. Penny resigned as president in March 2017, and was arrested in October of the same year. 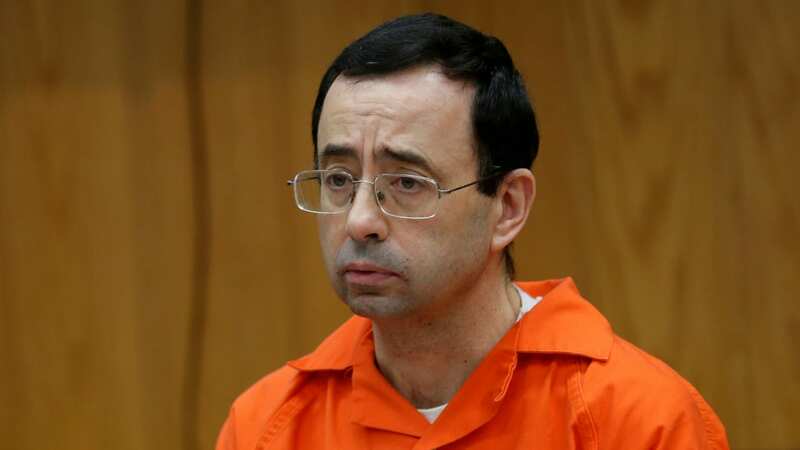 He was charged with removing evidence against Nassar from the Karolyi Ranch and could spend a maximum of 10 years in prison. His replacement as president and CEO of U.S.A. Gymnastics did not do any better. Kerry Perry was hired in December 2017 to take over as president and CEO, and her nine month tenure was tumultuous at best. In January 2018, the entire U.S.A. Gymnastics board of directors resigned as a direct result of the U.S. Olympic Committee’s desire for U.S.A. Gymnastics to take Nassar’s abuse more seriously. Perry struggled with appointing a new board of directors and with the day to day portion of her job, but the final straw was her appointment of Mary Lee Tracy to a position as USAG developmental coordinator. Tracy, a gym owner, had continued to support Nassar when the allegations were made against him, and the reaction was swift. Just three days after this appointment, Perry was asked to resign in September 2018. After Perry came Mary Bono. Bono only served as interim CEO for four days in mid-October 2018 before a tweet where she stated her anti-Nike views. This tweet was quickly taken down, but it wasn’t enough, and Bono was out as interim CEO. This left U.S.A. Gymnastics without a CEO and with a board of directors that many prominent gymnasts, including Aly Raisman, claim fails to address the issues related to Nassar. On Oct. 30, 2018, Penny pleaded not guilty to the charges of tampering with evidence. The Nassar scandal shook U.S.A. Gymnastics, and after multiple upheavals, nothing seems to have changed. Both U.S.A. Gymnastics and the U.S. Olympics Committee have had multiple lawsuits filed against them for their treatment or lack thereof of the Nassar scandal. Now U.S.A. Gymnastics might lose its position as the National Governing Body for gymnastics. This seems to be the final nail in the coffin for U.S.A. Gymnastics. Maybe now that the U.S. Olympics Committee has started the process of revoking USAG’s rights to control U.S. gymnastics, they will start to handle the scandal seriously and create a safe environment for the sport, but maybe all of this is just too little, too late. Adding insult to injury, it came out on Nov. 8 that the reason the USOC started the decertification process this week was due to the discovery of some documents from the Karolyi Ranch that were turned into the Perry investigation. These documents were found when a staff member at the U.S.A. Gymnastics headquarters was reading about the Perry investigation and realized that they might have the documents the investigation still hadn’t found. One concern for gymnasts as the process continues, however, is the place of of U.S. gymnasts. There is some concern that if the U.S. Olympic Committee takes control of U.S. gymnasts that the Federation Internationale of Gymnastics, the international governing body for gymnastics, might not recognize U.S. gymnasts that compete under the USOC. If this is the case, gymnasts might be punished for the crimes of their governing body, especially as the United States continues to be the dominant force in women’s gymnastics.